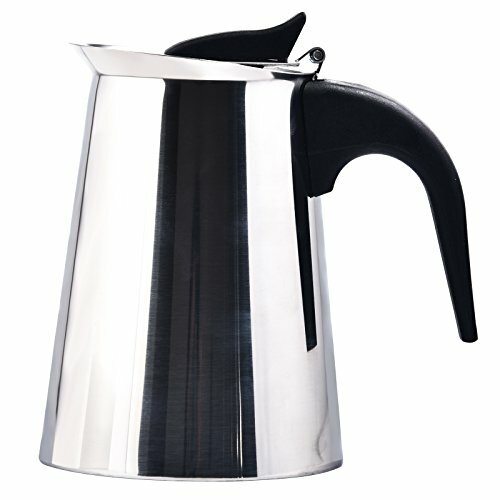 STAINLESS STEEL CONSTRUCTION: These percolators are comprised of premium food grade stainless steel for a long life and a superior, fast heat up in comparison to cheaper makers. 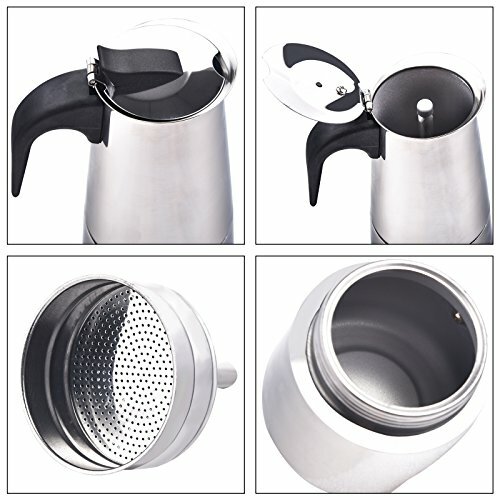 Unlike electric perculators you’ll be able to use these pots even as camping or at home on the stove top. 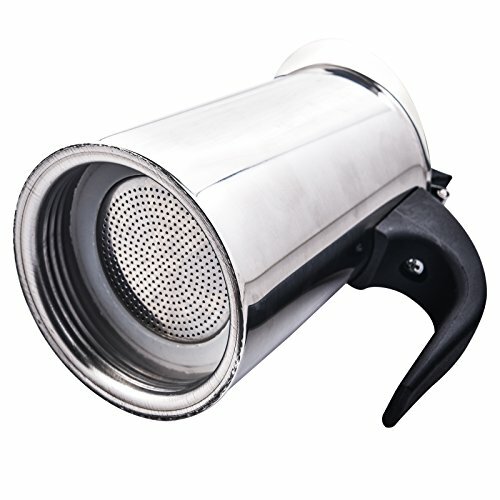 The innovative design means no further filters are needed. 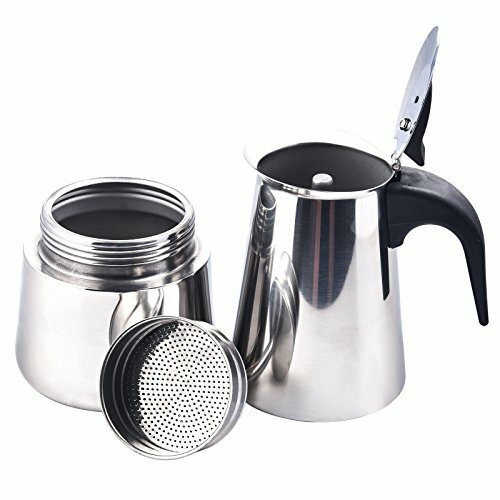 Meaning one single compact brewer and not more clutter. 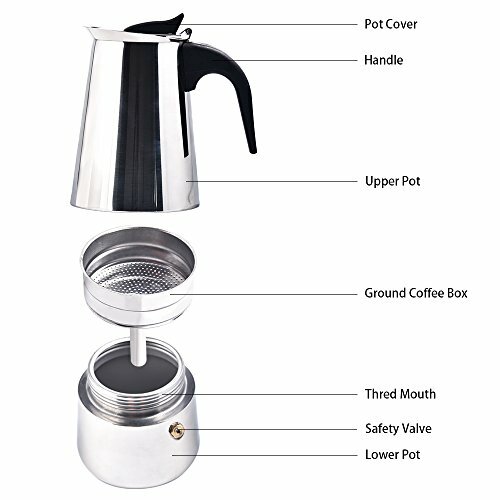 EASY TO USE AND CLEAN: Simply fill the bottom chamber with fresh tap or filtered water, fill the middle insert with your chosen coffee grounds or coffee bag, screw together and heat on the hob or fire and you are going to have coffee in lower than 5-15 minutes. To clean simply disassemble and place in warm soapy water or your dishwasher. Once cleaned allow to dry throughly before putting back together. 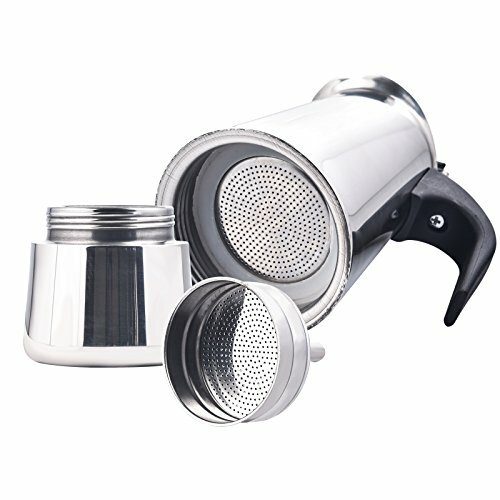 ERGONOMIC, ECO FRIENDLY DESIGN: And not using a disposable, replacement filters you are going to be doing your bit for the environment even as still enjoying your expresso each morning with your breakfast. 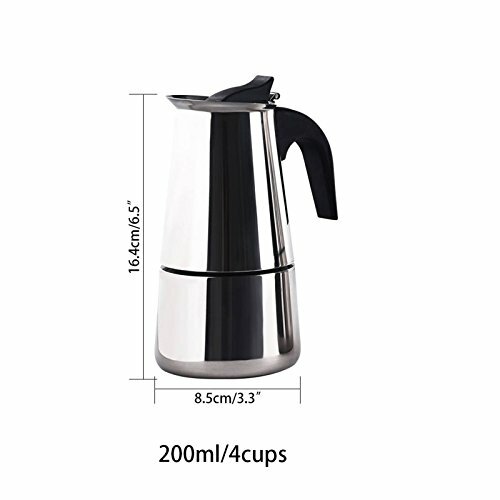 The ergonomic plastic deal with, flip top and bulged bottom are all designed for efficient and even heating, allowing you to brew coffee in minutes in safety on either a gas or electric hob. 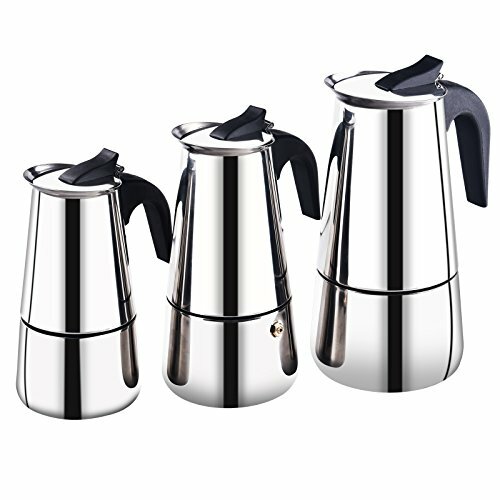 This coffee perculator is polished to a mirror finish and with a non reactive interior to stop odours and flavours being absorbed to provide a fuller, richer flavour. 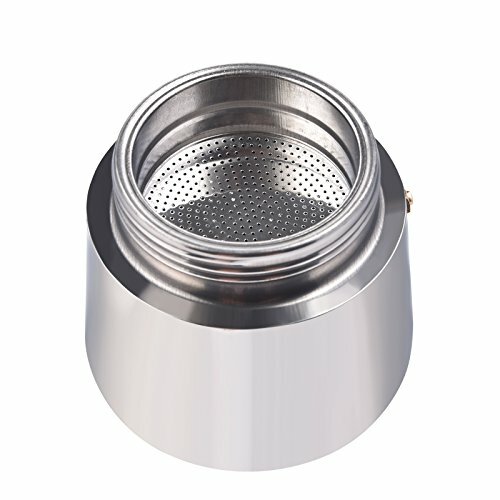 Simply fill the bottom chamber with fresh tap or filtered water, fill the middle insert with your chosen coffee grounds or coffee bag, screw together and heat on the hob or fire and you are going to have coffee in lower than 5-15 minutes.